Great on-camera lighting solution. Softens the light output of shoe mount and hand-held flash units for dramatic improvements in image quality. The LiteDome®: extra small gives you big results in a very small package. Although the size of the face is only 12 x 16 inches, it's surface is 32 times greater than the face of a typical ShoeMount flash, and that results in a dramatic improvement in skin texture softening! 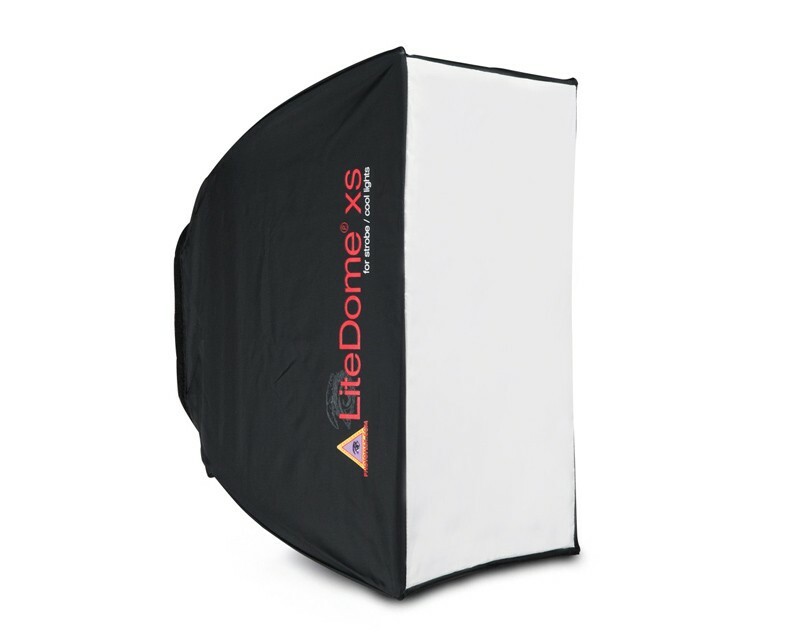 LiteDome®: extra small is lightweight and portable, giving you studio-quality lighting wherever you need it. The LiteDome is available in 5 sizes. The LiteDome®: extra small includes a basic speedring.